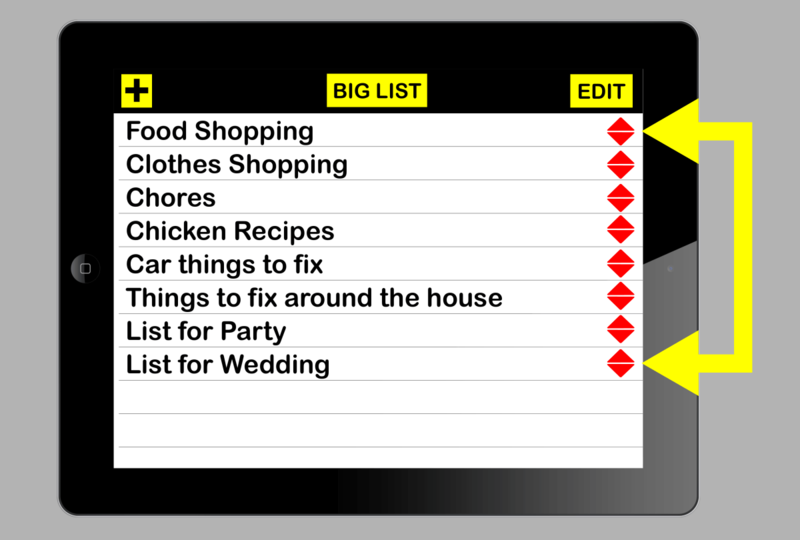 Big List App for Low Vision Users. 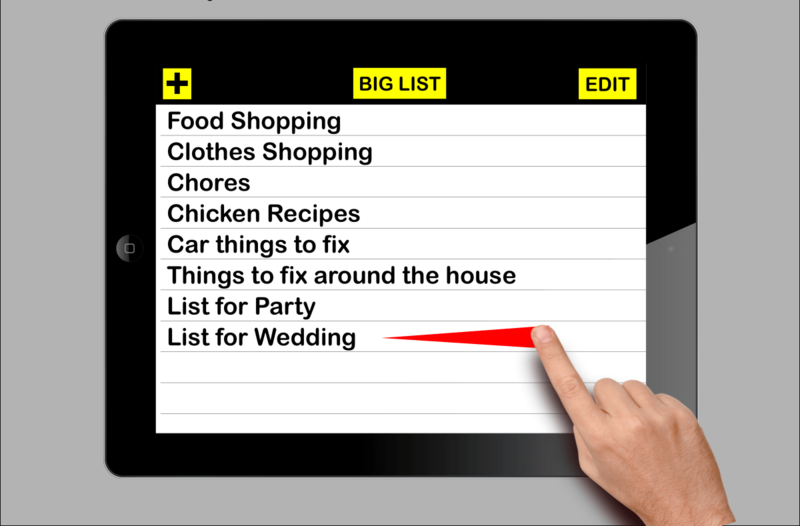 Big List is a Low Vision Note Taking To Do list App for Visual Impairment. 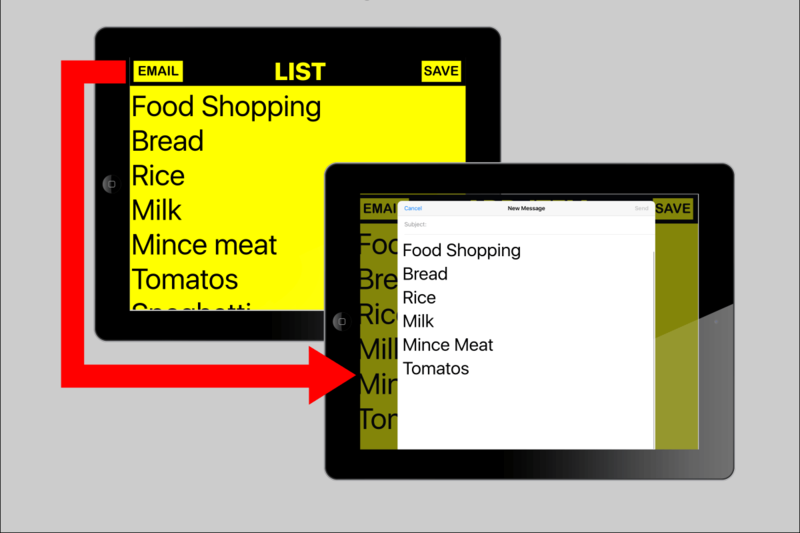 This List Making To Do App has huge line height, more spacing in between lines for easier reading and interaction. Made with Large Clear Print for Visual Clarity at all times. To delete a list item, just swipe it to the left. The line height is large for easy accuracy. To re-order a list, tap the edit button, the red diamonds will appear and you can drag them up or down to change the order of your list items. 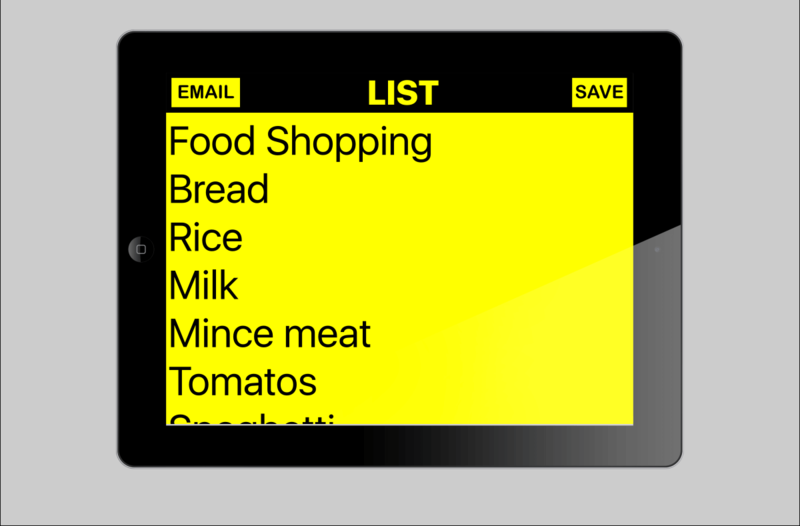 There is a built-in email function, you can email any list item or note. Type everything you need in large print and review it clearly before emailing it out.